Get involved and stay informed with our newsletter! "It was awesome! Can't wait for the next class. You guys do a great job. The instructors are really wonderful, patient and supportive as well as expert. Their classes instill confidence." "It was a great class. I've coached figure skating and hockey for 15 years and can be pretty critical of other coaches. They did a super job." "A word of praise: your courses are excellent. Bryan (the instructor for Andrew and I) was great, patient, articulate, and very skilled. I very much appreciated the classes with him both on fundamentals and advanced strokes." 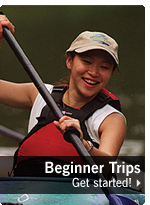 Potomac Paddlesports is a award-winning kayak school and for beginner adults. We're located close to Washington, DC, Annapolis, MD, northern Virginia, and we're within shooting distance of Baltimore, MD. 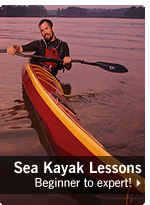 We specialize in both whitewater kayaking and sea kayaking, and we teach lessons and guide tours for first-timers to experts on the Potomac River and the Chesapeake Bay. 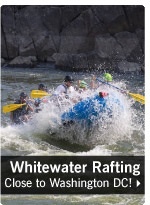 (Note: if you like whitewater kayaking and white water rafting in Harper's Ferry, West Virginia you will love kayaking on the Potomac River near DC!) 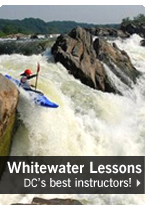 We teach lessons in Potomac, Maryland, Annapolis, Maryland, and Washington, DC. 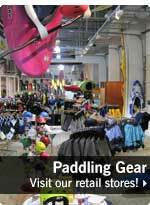 We also have an online store where we sell kayaks and kayak gear at great prices for our students and guests. 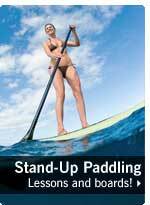 Our online store often carries Werner Paddles on sale, AT paddles on sale, P&H sea kayaks, Impex sea kayaks, Wilderness Systems kayaks, Venture kayaks, liquidlogic kayaks, Pyranha kayaks, Native Watercraft kayaks, Wave Sport kayaks, and Dagger Kayaks. We also sell gear and accessories by Sweet Protection, Kokatat, Immersion Research, Astral, Thule, Yakima, SeaSpecs, NRS, Teva, and more. Check it out!